Members of the Georgia Florida United Methodist Federal Credit Union might notice something different in the coming days and months. As a result of unparalleled growth and new service to the Alabama-West Florida Conference, the credit union is changing its name to the United Methodist Connectional Federal Credit Union. The organization's leaders say the new name better represents how it is connected to the United Methodist community and how its members are connected to one another. “Members won’t have to do anything, and it doesn't affect any of the great products and services they have come to expect,” said Keith Pritchard, credit union president. “We are still right here, serving up the best in financial services and education. 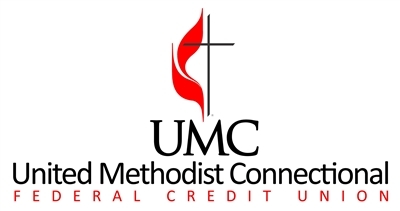 No services will be interrupted, and members can still conveniently bank online or via mobile device at http://UnitedMethodistCU.com,” he said in a prepared statement. The staff is officially welcoming everyone to United Methodist Connectional Federal Credit Union on International Credit Union Day, Oct. 18, to celebrate the name change with food, contests and fun. Members and prospective members are invited to the Lakeland branch office at Florida United Methodist Center from 10 a.m. to 3 p.m. to help celebrate the new name. “We look forward to seeing you, your family and friends," Pritchard said. "Stay tuned to our Twitter, Facebook, and website for more great information on this event."